This video of Bangaway should be shared. Please keep in mind that it was filmed a very long time ago when color was very expensive. Click here to see his Offspring Video. 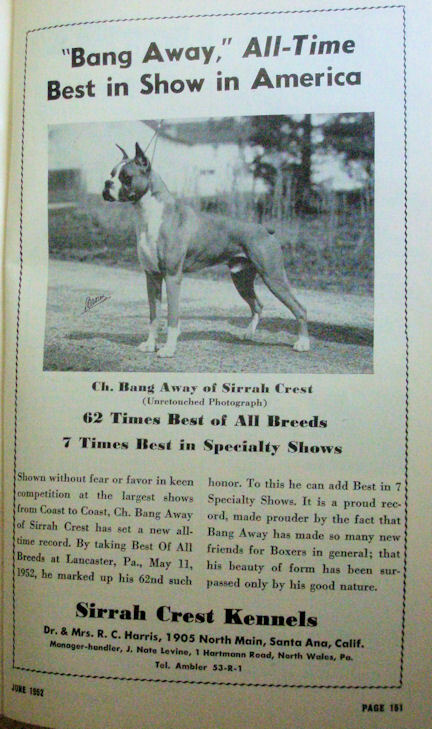 This picture was taken from the June, 1952 AKC Gazette.